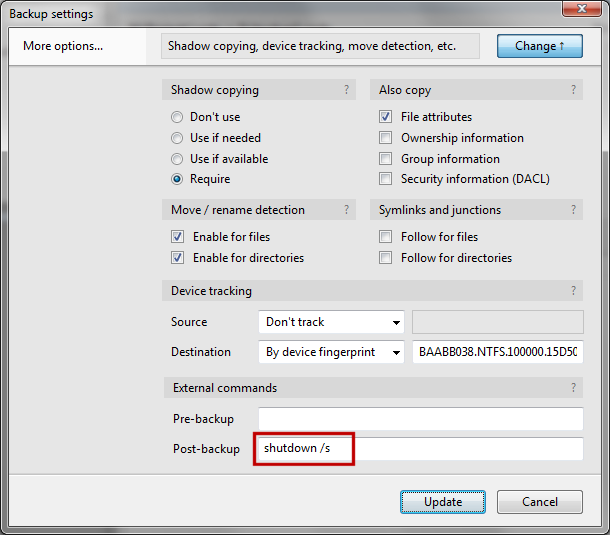 I'd like to have the option to have my PC automatically shutdowned by Bvckup at the end of a long job. for instance, I'm a photographer and when I come back from a shooting, I may have 2500 pictures to backup at the ned of my day, so Bvckup is running while I'm getting back home. An automatic shutdown could be nice in this case. OK, nice to know. Not as simple as a nice little button, but will definitely work for me.